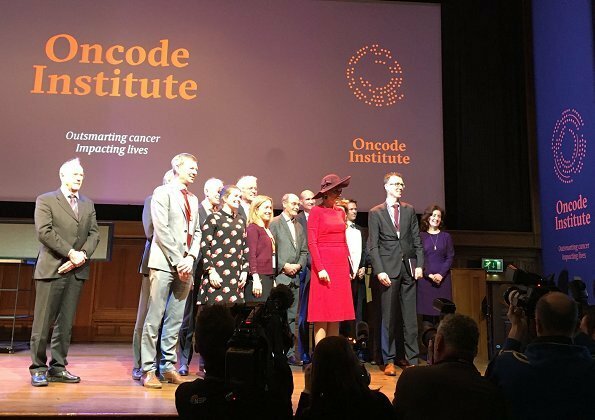 Queen Maxima of Netherlands opened Oncode Institute at KIT Royal Tropical Institute in Amsterdam, an independent virtual institute which is used by cancer researchers in the Netherlands. 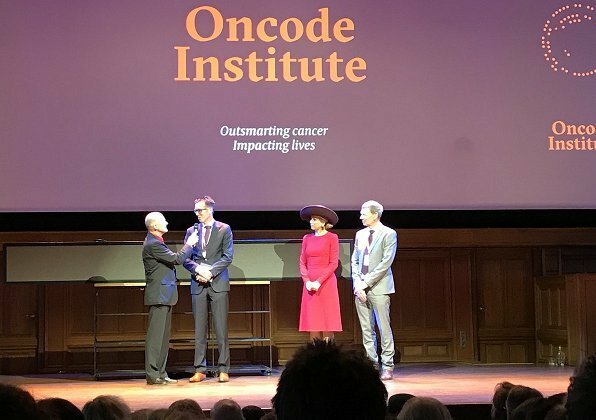 The purpose of Oncode Institute is to convert basic ideas about cancer to a better and cost effective care service as quickly and efficiently as possible. 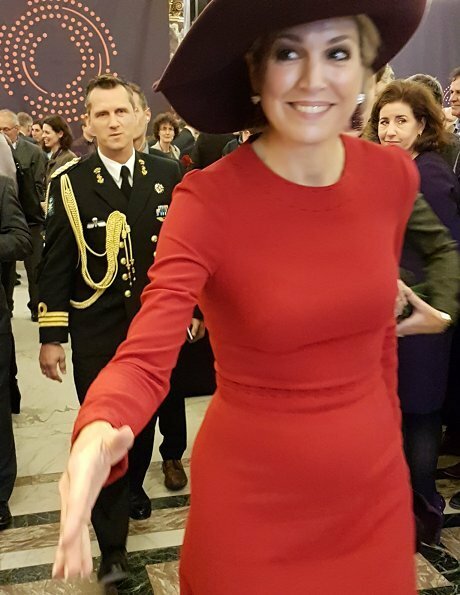 I love the look of the outfit but I think the dress is just a bit too tight (perfect fit, as Letizia wears, makes so much difference). The colours suit her. I think the outfit does not fit the occasion. It is a bit too cheerful. 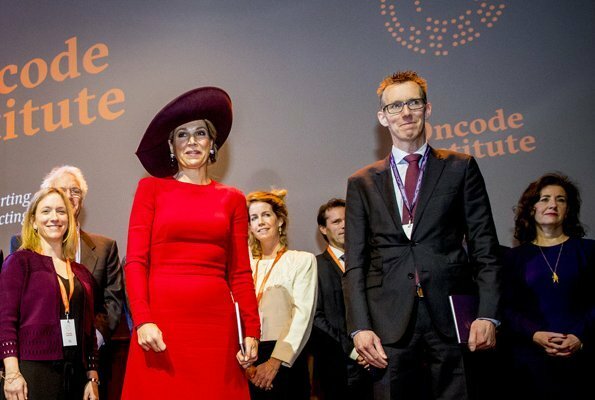 MAXIMA! Love it, the red is cheery and something cheery is always welcomed by cancer patients. Perfect color, Máxima is very wise. I volunteer with cancer patients and we are told to wear bright, happy colors, preferably reds, yellows, blues and greens whenever possible to maintain a feeling of optimism and cheerfulness.